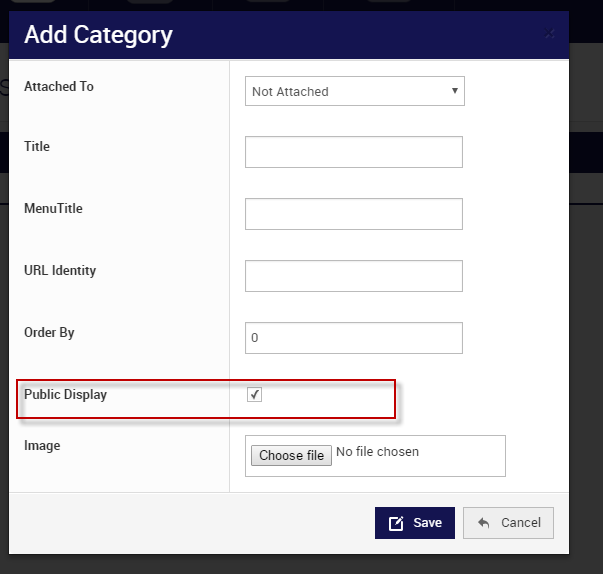 In the console you have the ability to create Categories that are only available once a Member has logged in. 6. Ensure the Public Display option has not been ticked. Once a customer logs in, this category will appear on their homepage, but not on the public page.